When are we going to see the DFS UTM system in operation? A basic version will be offered during the course of the year. It will be a system covering the first two phases of the U-Space concept, so we’re talking about registration, identification, providing geo information data and real-time tracking. We are also planning further functionalities such as supporting the ability run to run drone fleets and specific features for police and other markets. Will the initial UTM concept cover both beyond visual line of sight (BVLOS) and visual line of sight (VLOS) operations? Yes. We want to provide and enable using the full potential of this new technology and it’s our core belief that a UTM system can contribute to opening up the market. Many industrial customers need to fly BVLOS; only then will the business case be there, to use drones to collect data and transmit collected data in real time, broadcasting it via mobile network infrastructure to their data centres and feeding it into their processors. What tracking system are you proposing? The drone is supported by its own flight management system and has its own sensors. But additionally we require and recommend the industry to build in a mix of different communication channels directly at the manufacturing stage. We believe one solution should be LTE, GSM 5G communication. It’s already available. We have a gold standard for mobile communications so we don’t have to create something new. We can draw on something that exists in terms of standards and infrastructure and by the way, globally. If the drone flies outside the mobile phone network how do you track it? The tests we’ve conducted with a telecommunications company in Germany have demonstrated that the coverage of drones 100 metres above ground is better than two, three, five metres above ground. That was an interesting finding for us. And if we look towards the future we will see even better mobile networks. But there will always be holes and those holes will be covered by using other means of communication such as satellite communications for very high-valuable missions, or ADS-B, FLARM or even ATM communication technology for other applications. How far have you gone in certifying FLARM or ADS-B as a viable drone tracking device? We’re not there yet and to my knowledge no-one else is. This is something we will definitely see in the future but it will take time to certify these technologies for drone use. But we are undertaking a number of analyses to compare the location data which we receive from these different sources with data from drones sending their position reports via certified aviation technology such as Mode-S transponders. We have an ongoing regular drone flight at Frankfurt airport, next to an active runway, every month, with a drone that is equipped with an aviation-certified Mode-S transponder together with specific LTE transponder which we have developed. This allows us to compare both signals and we have found that the LTE position data is actually more accurate than the Mode-S transponder signal reports. By the end of this year will commercial drone operators in Germany be able to fly BVLOS within a cellular network using the DFS UTM system? Yes. You can use the services provided by DFS. We plan to offer these services through a specific new legal entity which will offer the customer the capability of registering the drone and other information such as insurance company coverage, the qualification of the drone pilot and other relevant data. The operator can then prepare the mission, pre-plan, and seek approval from the aviation authorities for flying through no-drone zones, for example, or crossing nature parks, highways. waterways and so on; even flying at airports. Permissions will of course depend on the qualification of the pilot and the approval of the authorities involved. There will be a charge for the service provided? Is there a date for the introduction of the registration system in Germany, and what sort of charges will be levied? We could offer such a platform for national registration any day but it’s not up to us – it’s up to the regulator, or the aviation authority, the Ministry of Transport. The introduction date will be linked to the enforcement of the new EU regulation and other regulations which are well underway. I guess we will see it before the summer but the exact timings will need further discussions. We will need 12 months to actually implement it, as will all European countries, but my guess is that by summer next year we will have such a national registration system in place in Germany. The number of near misses between drones and aircraft has gone up rapidly in Germany recently. How are you going to protect the airspace in the meantime? There are a wide number of measures we are putting in place. They start off with gathering statistics, which we’ve done since 2015. We report on the sightings of drones from pilots flying to and from German airports. And those numbers have doubled year by year – in 2018 we saw 158 sightings. Another measure is to inform the public about correct procedures when flying drones because most drones sold are small off-the-shelf products sold through commercial outlets and bought for recreational purposes. Many new owners will not be aware of aviation regulations; they know nothing about NOTAMs, airport control zones. The technology makes it very easy for them to operate these drones above the 100 metres which is the upper limit allowed by law at the moment. So by just creating awareness of what should and shouldn’t be done will address the issues for most recreational users. But for people who really have bad intentions, something else is needed. That’s absolutely clear and the incident at Gatwick has demonstrated the damage that can occur. I think the total loss has been reported to be around UKP50 million – which shows the level of damage that can be caused by closing such a large airport for three days. So this has led us to develop systems which can not only detect good drones and register good operators who are keen to follow the rules and fly for the right reasons but also to look at the other side. We have programmed an interface and can establish a communication link between our UTM system – which will contain information on most well informed, well-registered operators – and compare that information with data collected and provided by drone detection systems. By comparing the data of both systems we can easily identify the drones we know and the ones we do not know – and take a closer look at the ones we can’t identify. So what happens next when you detect an unidentified drone? Now we come to an ongoing discussion about whose responsibility it is to do something about it. It’s not the role of us as an air navigation service provider (ANSP) to act and deal with non-cooperative flying objects. We just inform the relevant authorities and then it’s up to the police or the military to act and this principle we will keep, even in the field of unmanned air traffic. So in that case we would inform and provide information to the airport, to the police, and it will be up to the security forces to decide what measures should be taken. And those measures will differ. If you encounter a non-cooperative drone above a football stadium there will be the ways of acting which might be different to detecting an identified drone flying above a building or close to a runway. 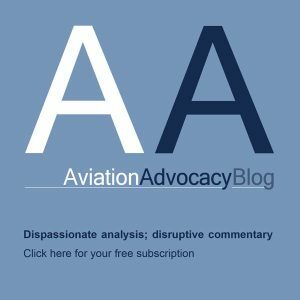 Where does DFS’s responsibility for the management of the airspace begin – how many metres above the ground? In its role as a national ANSP, DFS is responsible for managing all air traffic in controlled airspace. So that’s very clear. 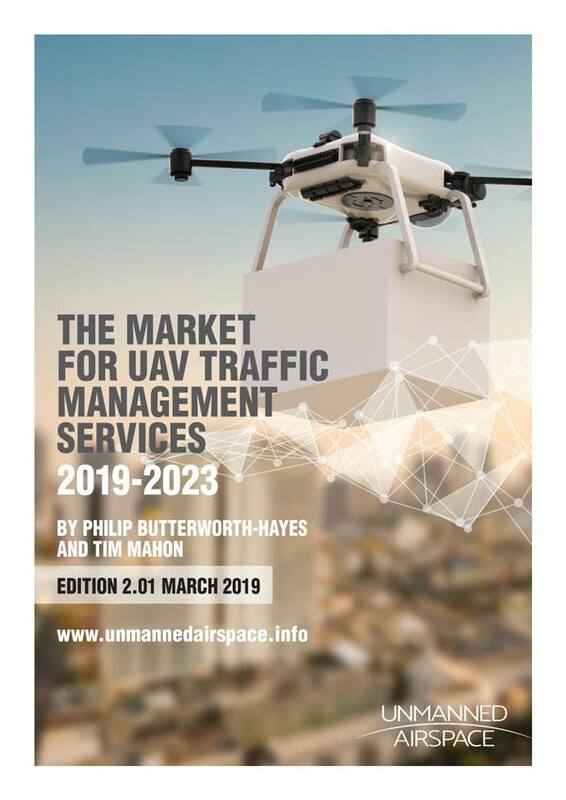 In the field of UTM, with low-level airspace, that is something which will have to be done commercially; it’s not a role for the national ANSP. That is why we are setting up a separate company. What will be the role of regional German states in this? Will local authorities and cities be able to develop their own local laws for low level airspace management? The question of responsibilities is still under discussion. It will depend on legislation and on European regulation, but we believe as DFS Group we should be able to provide a solution to the very valid question. It’s our idea to build a platform to engage all stakeholders that need to be involved and provide them with the relevant information – for the police, local aviation authorities, airports, airlines, UAS operators, every legitimate stakeholder. Are you going to make provision for UTM service provider competition? 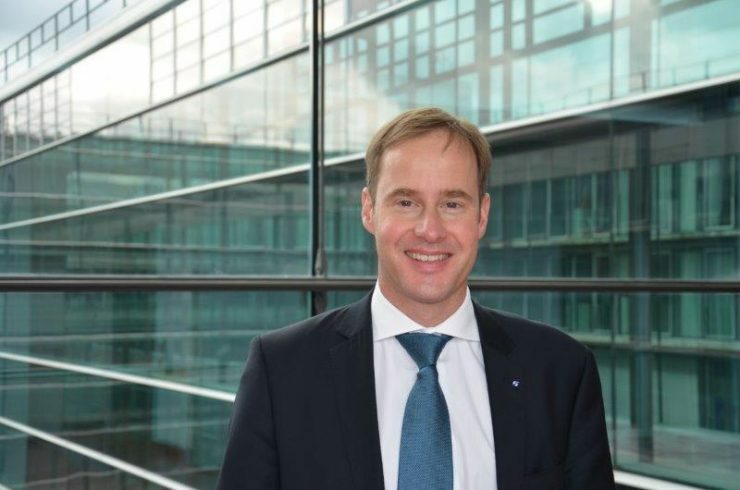 Will there be room for others apart from DFS/Deutsche Telekom? We hope to become an important player in this segment and we believe that with the offering which we will make to the market it will be up to the customers – as in any other market – to decide whether they like our product, our service. There will be alternatives. It’s not mandatory to register drones, pilots and operators at the moment, it’s not mandatory to equip drone with particular technologies – you can seek approval for an operation by sending a letter to the relevant aviation authorities and getting an answer in a couple of weeks or months. But we think it could be sensible to use a digital platform for seeking approvals on line. No, I think there will be several platforms. We won’t have one single platform in Europe for example. So in Germany you will have a choice of where to register your drone. I think you will see different companies making offerings to the market. Of course at the end of the day it will be a question the Ministry will have to think about and to amend and develop legislation for.